This Clasmeyer Sea Life European Bead is designed by the artist Carl Clasmeyer and depicts a detailed diorama of sea life in Sterling Silver. Made specially for Bead Lovers Korner, this bead depicts a dolphin, angel fish, star fish, octopus and coral. 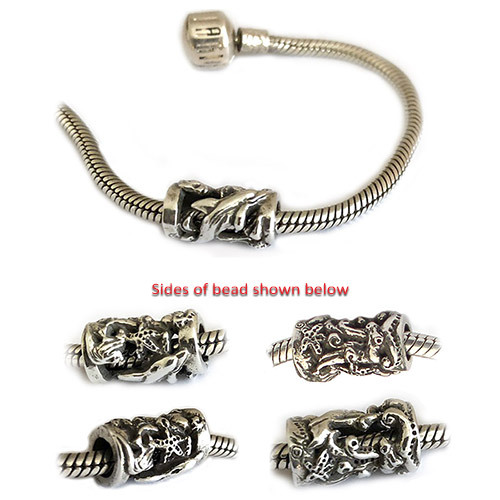 A perfect addition to a beach or ocean theme European Charm Bead Bracelet. Compatible with other all brands due to the large size hole.